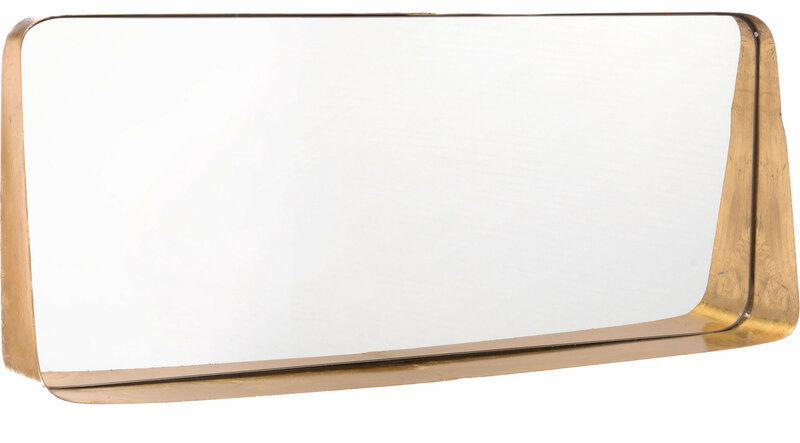 Make a lasting impression with this stunning modern mirror. We love it hanging or resting on a surface. Sleek and simple, it looks perfect in an entry, bedroom or bathroom. The mirror is inset in its frame adding depth and dimension. Bottom edge can be used to rest keys or small objects.